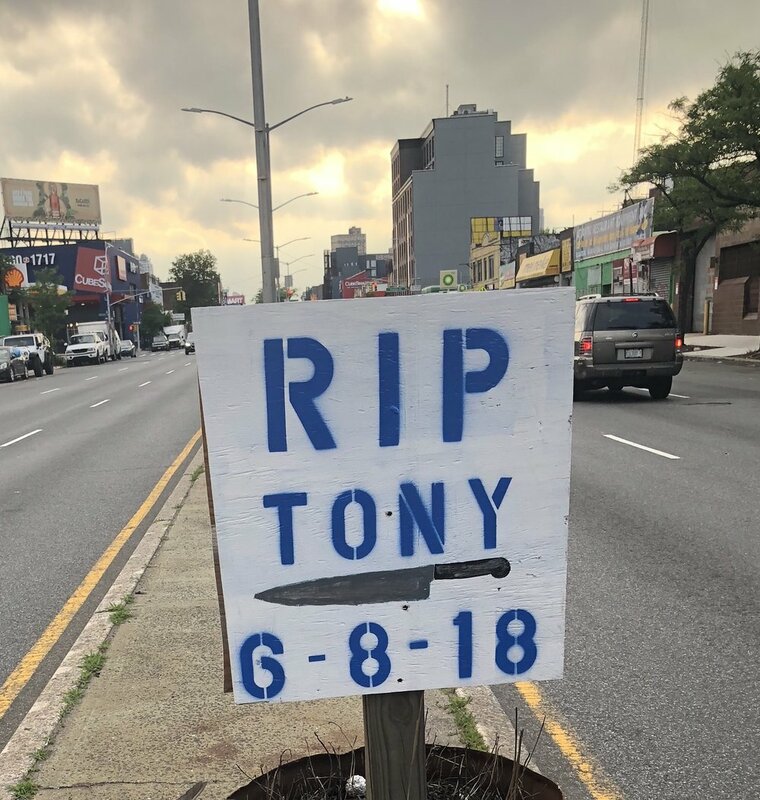 I went to visit a memorial for Anthony Bourdain in the middle of busy Atlantic Avenue in Brooklyn, not far from my house. A fan or friend created a bare-bones tribute, a plant atop a garbage can type of thing. When I was there a dead pigeon laid on a separate can next to it. That’s just what happens in cities, beautiful ideas often couple with gross, depressing details. In my haze, I hadn’t even thought of bringing anything to leave at the site. Making my way down the sullen stretch, I started overthinking it. Whiskey felt weird and likely stolen within minutes. Also, I don’t know what was in his system at the time of death; what if whiskey was part of it? I stopped myself from overthinking too much and feeling too terrible, remembering that Bourdain would probably mock the fact that I thought about it at all - and even that this memorial existed for him. I did have some Heinz ketchup packets and mints with me. I left a packet of classic food Americana: everyone loves Heinz ketchup. You never know when you’ll need it, and Bourdain understood that Heinz ketchup is the only one that matters in life. (Sorry, Sir Kensington’s, I like your other stuff.) It was something to spruce up an otherwise depressing, but sweet, scene. Across the street is cocktail bar Diamond Reef. 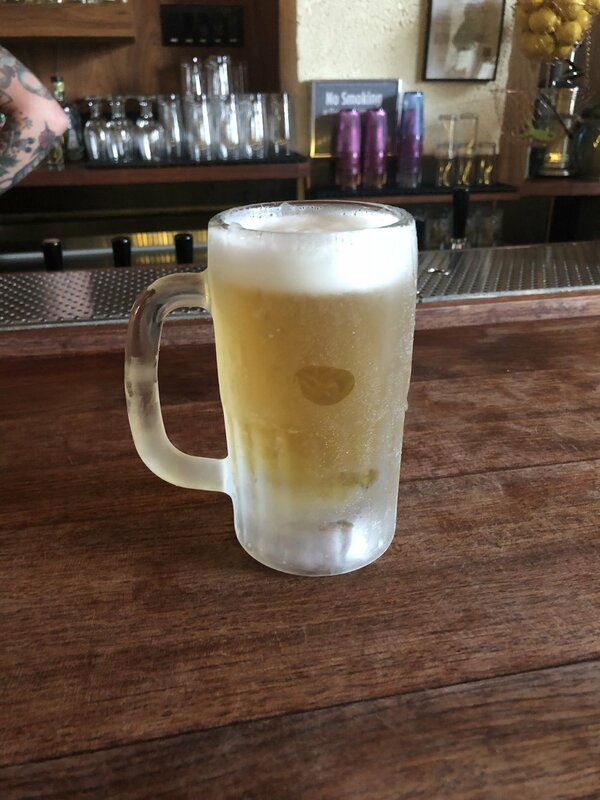 I’d never been there, and in the spirit of Bourdain, it felt right to grab an ice-cold beer after the trek over to his memorial. So right. I walked in to see flashing lights and a film crew behind the bar. I asked the bartender why. A memorial. For a friend in the bar community who passed away. A few dollars from every strawberry daiquiri would be donated to his son. They wanted to film the event. Wow. It turns out this very beloved man was John Lermayer, a pioneer in the modern mixology movement. Life is difficult and not getting easier (understatement of the year!) The best we can do is celebrate the lives of the people we loved, take care of their loved ones, live the way they'd want us to, and wish for all of us to be peaceful and happy. So for now, a few memories of Bourdain's impact in my daily life, as I continue being inspired by him and the world around us. If we’ve discussed Bourdain before Friday, you know that I fell on him shortly after I moved to NYC. My college pal and fellow food lover, Sam, was visiting. A bunch of us were watching the Pittsburgh Penguins play in the Stanley Cup at Milady's in SoHo (yes, this was the bygone era when Milady's still existed.) During a commercial break, Sam spotted Bourdain outside through the window. I still don't know how she noticed him, but I guess he was pretty tall. I said nothing, jumped up, and ran outside. Keep in mind, I was new to the city and worked in SoHo. I also was a few drinks deep. I had to find out where he was going to eat. I ran outside and flew off a step outside the bar. He was standing there with friends. I crashed directly into his body. I had fallen out of a bar and onto my hero. “No problem,” he said, like I had accidentally brushed against him. He was insanely cool about it, even with his posse of leather jacketed pals. Maybe they were debating where to go or waiting for someone? I was too soon in my quest to follow them. I hung my head and took a walk around the block. Obviously there was no way I could follow them now. I’d never know Bourdain's secret SoHo spots. 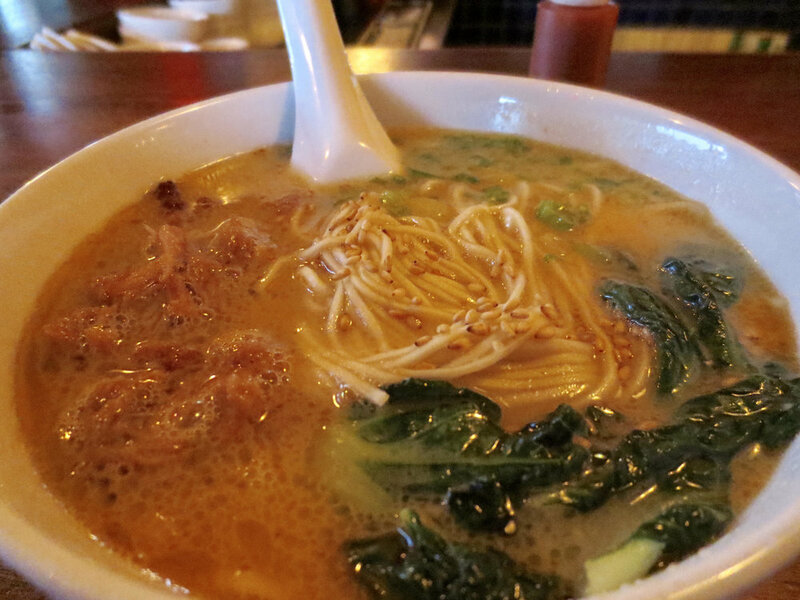 There were barely any SoHo spots I liked hanging out in and deemed Bourdain-worthy, and Milady's was one of them. I really wanted a new hang - and a great story about how I found it. I hoped that in my food career I’d meet him again, especially after such an embarrassing scene. It didn’t happen, but of course I’ll remember how very nice he was in that moment. Even from afar, his impact on me, my career and interests and overall priorities is immeasurable. I pitched a story based on something I saw on Parts Unknown: New Jersey, which I had just re-watched fondly as Bourdain reminisced with his younger brother about childhood summers at the Jersey Shore. 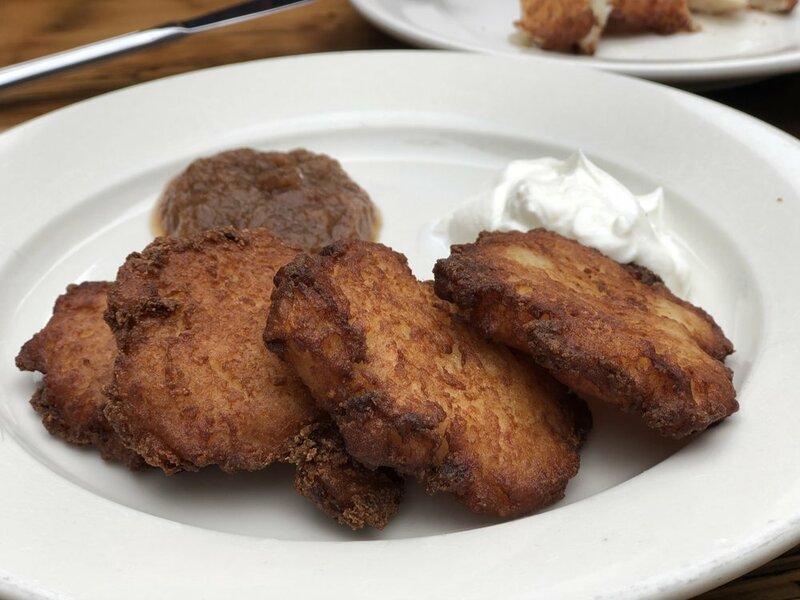 Latkes, a delightful always-seasonal snack at Pilsener Haus & Biergarten in Hoboken, NJ. It’s weird that living in New York City we act like Jersey is so far. It took me 45 minutes to get to Hoboken a few weeks ago. It takes me 45 minutes to get many places within the city. I have never been to the Jersey Shore since living here. I need to reach beyond my comfort zone and into more Jersey eats. Stop #1: What Bourdain proclaimed a “New Jersey cheesesteak” at Donkey’s Place in Camden. As it often did, Bourdain’s visit in 2015 gave a big boost to the business, which has been there for 75 years. A few days before his death, I had just re-read his letters to author Matt Goulding, founder of travel website Roads and Kingdoms. The letters are the foreword in Rice, Noodle, Fish, which was published by Harper Collins under the imprint Anthony Bourdain Books. He describes the magic of his first visit to Japan. I was recommending the book to a new food friend who’s traveling to Japan and hadn’t looked at it in a while. “It was a glorious and lasting derangement of the senses that first trip and I’ve never been the same since,” Bourdain said of his first trip to Tokyo. He wanted to share that magic with the world. I've never been to Japan, but I hope to go someday. I will eat everything. “Readers will either read the book and immediately book tickets to Japan to explore for themselves. They will return changed. Unable to look at the world the same way ever again. Or...they might refine and adjust whatever sadly misguided plans they might have had in favor of destinations described here. Or they might sit in their chairs and dream of a far away place where the culture is very old, the food extraordinary and refined beyond imagining, and where there are many beautiful things that feel good.